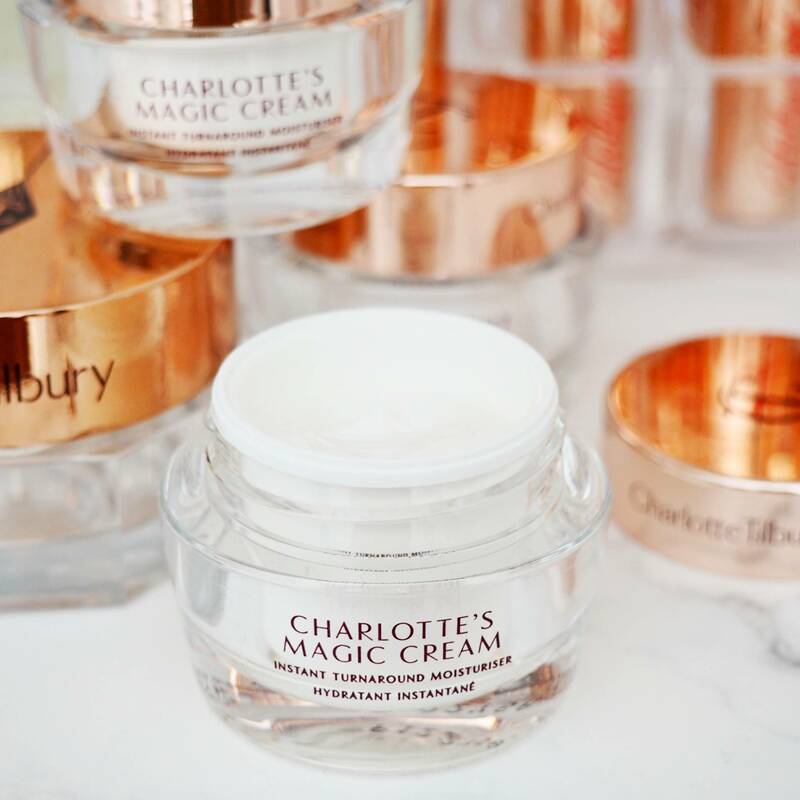 Any cream that has the word ‘Magic’ in its name has me intrigued and I think its fair to say that Charlotte Tilbury’s Magic Cream has received ‘cult’ status in the Beauty World. Due to the cold Winter weather, combined with central heating, then mixed with viruses, sickness and lack of sleep due to the illnesses and poorly children. I was definitely in search of something ‘magic’ for my skin. Over the past few weeks thanks to the above my skin has looked as tired and lacklustre as I have been feeling. I feel like some mornings when I look in the mirror that my face has aged about 10 years over night. 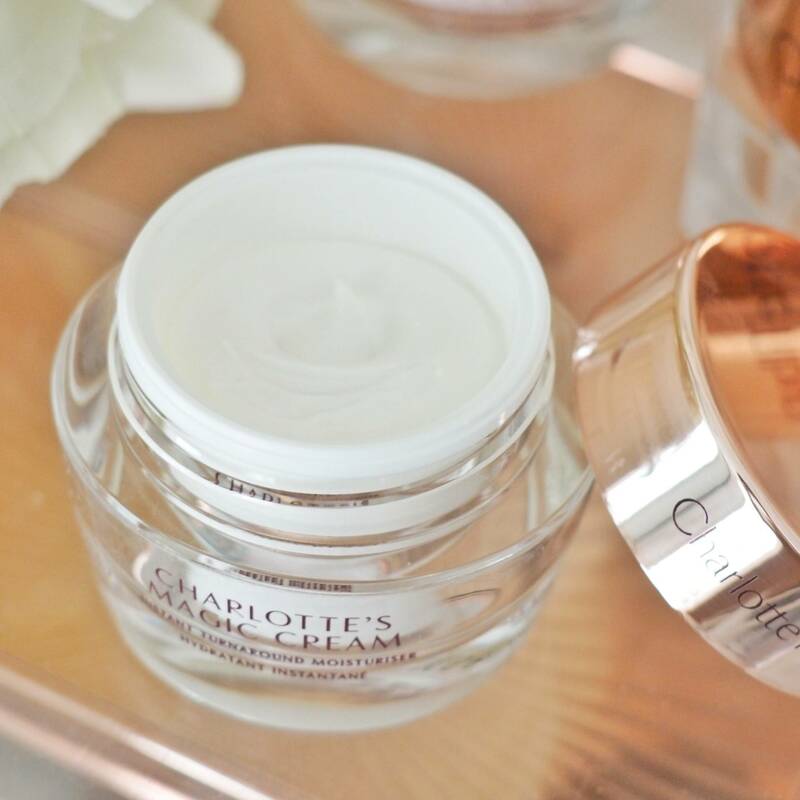 Having read so many rave reviews about the Charlotte Tilbury Magic Cream I finally decided to give it a try to see if could give my tired, dry, skin a magic touch of freshness and glow. 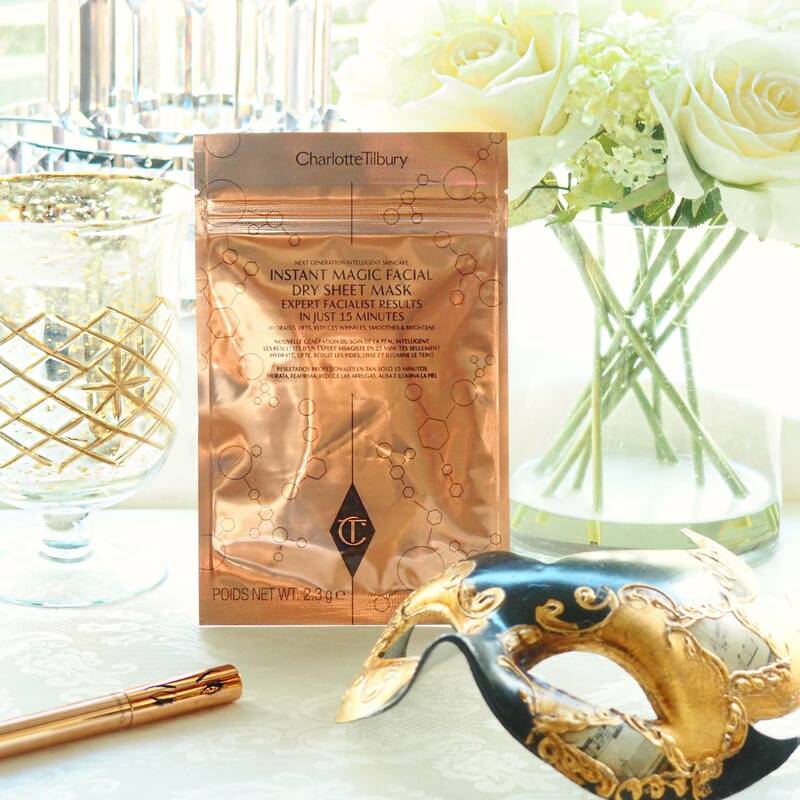 If you are a regular reader of my blog then you will know how much I love Charlotte Tilbury products. 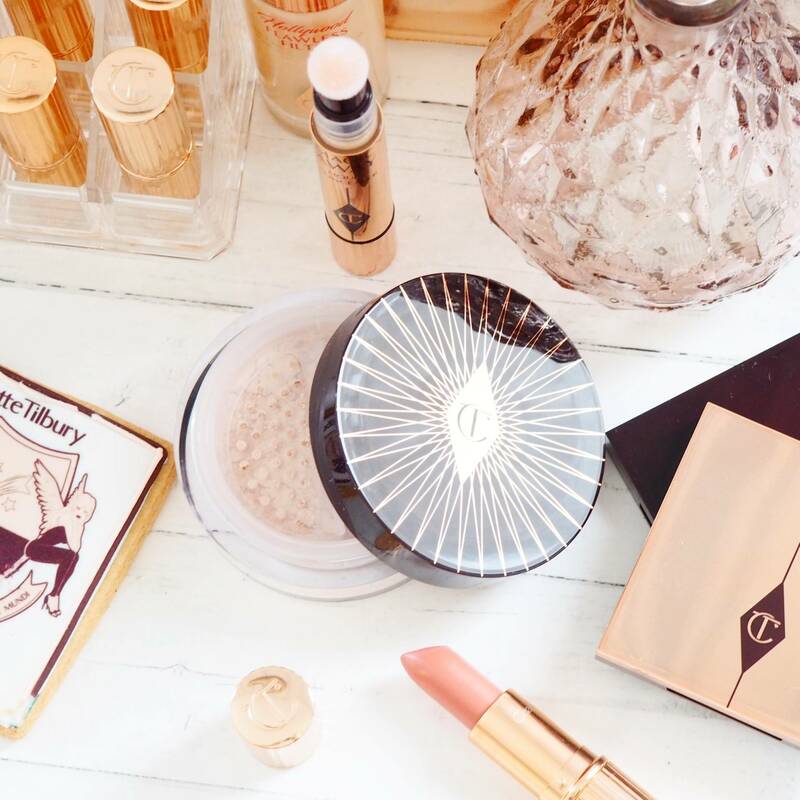 My makeup drawers are full of her beautiful makeup products and about 90% of my everyday makeup is from Charlotte Tilbury, from her magic powder to her blushers, eye shadows through to her lipsticks. 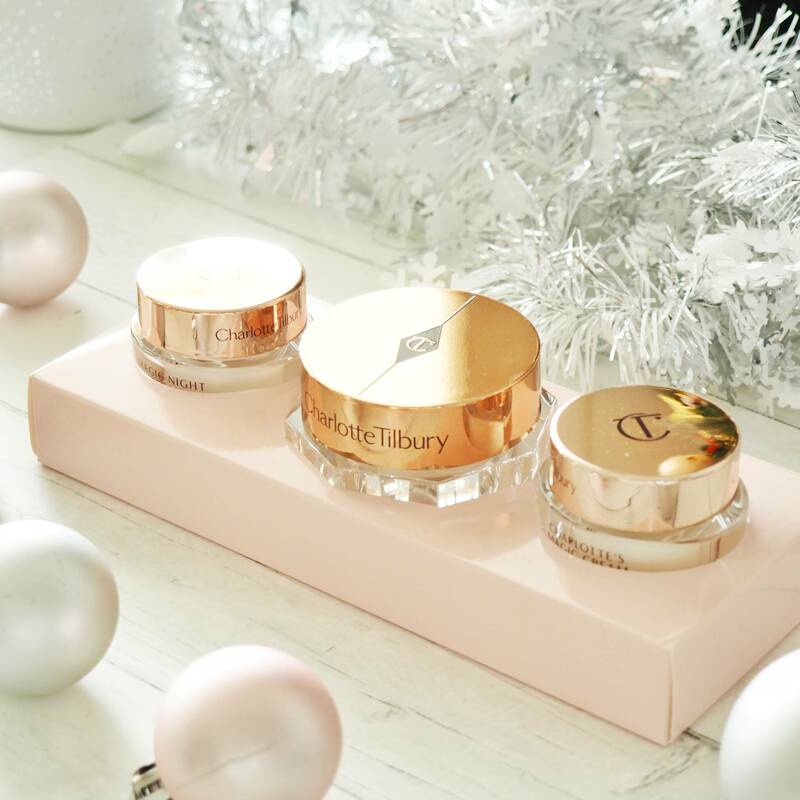 It may then come as a surprise that I had never actually tried Charlotte Tilbury’s skincare products. To be honest, I’ve often shied away from any ‘makeup brands’ skincare lines’ due to some bad experiences in the past, instead I’ve always reached for brands that just produce skincare only. I have incredibly sensitive skin, have suffered badly with acne in the past and I have hypothyroidism which means hormonal breakouts are incredibly common. My skin has continued to be a bit of an ongoing battle and something I have always been very conscious of. I’ve learnt (often the hard way over the years) that my skin definitely prefers a ‘less is more’ approach when it comes to skincare. It doesn’t respond well to harsh, heavy products nor does it respond well to piling on too much product. Anything that strips my skin is really bad. 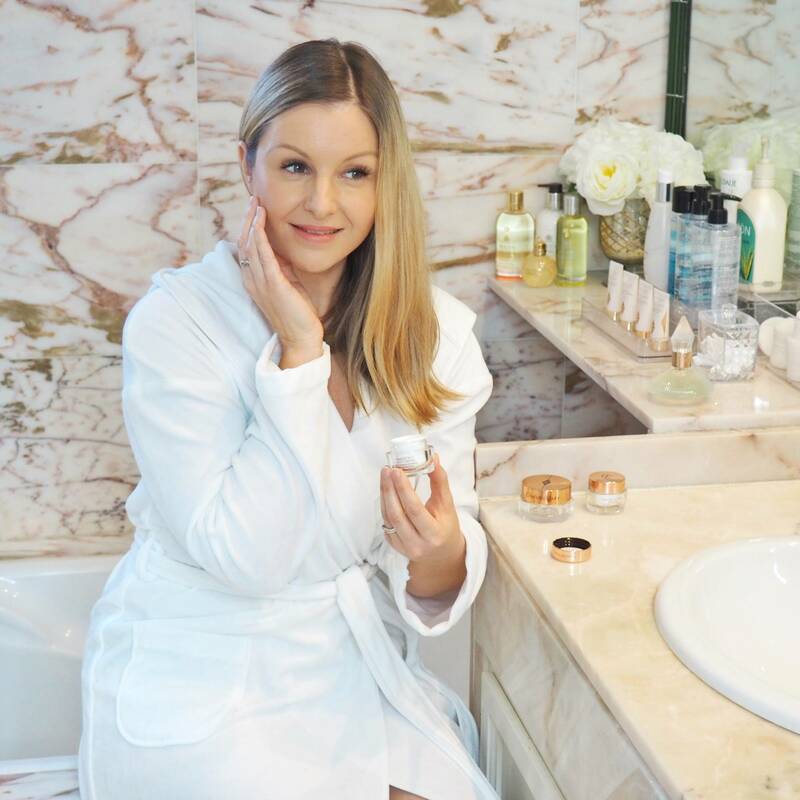 A nightly-long ‘product-after-product skincare routine’ is a big no-no, and all these lotions and potions that I see fellow bloggers applying to their skin each day I know (from experience) that for me my skin just can’t take it. 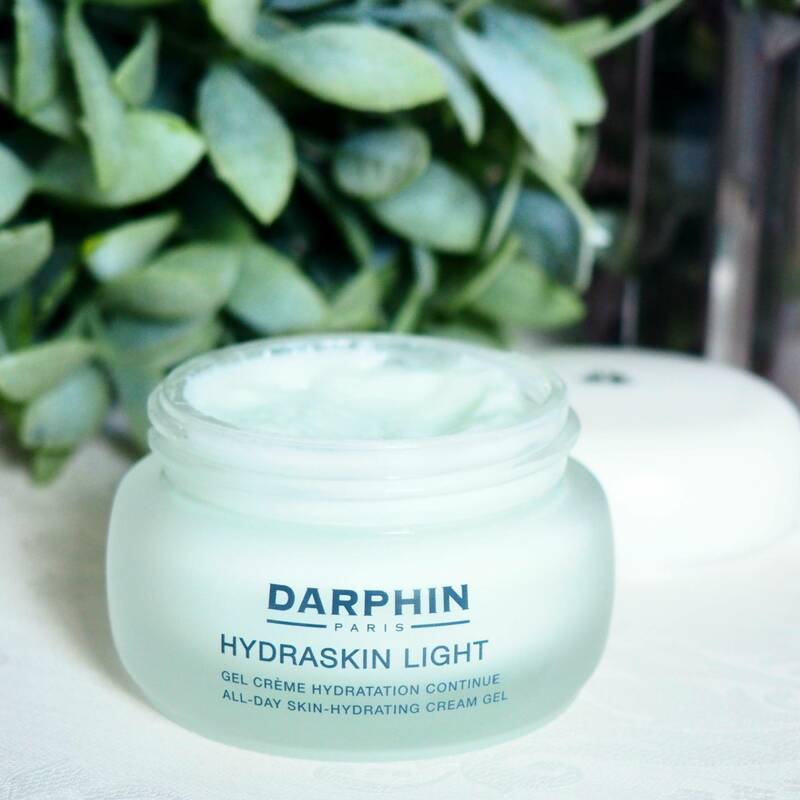 My decade-long trusted skincare brand of choice (Darphin) I felt was missing a little something the past few months too. I’m not sure if its me being more aware of my skin as I turn the big ’40’ next year, or just that Winter combined with illness and sleep deprivation really does show on my skin. But I have been feeling for some time that now would be a good time to be that little bit brave and try a new skincare brand. 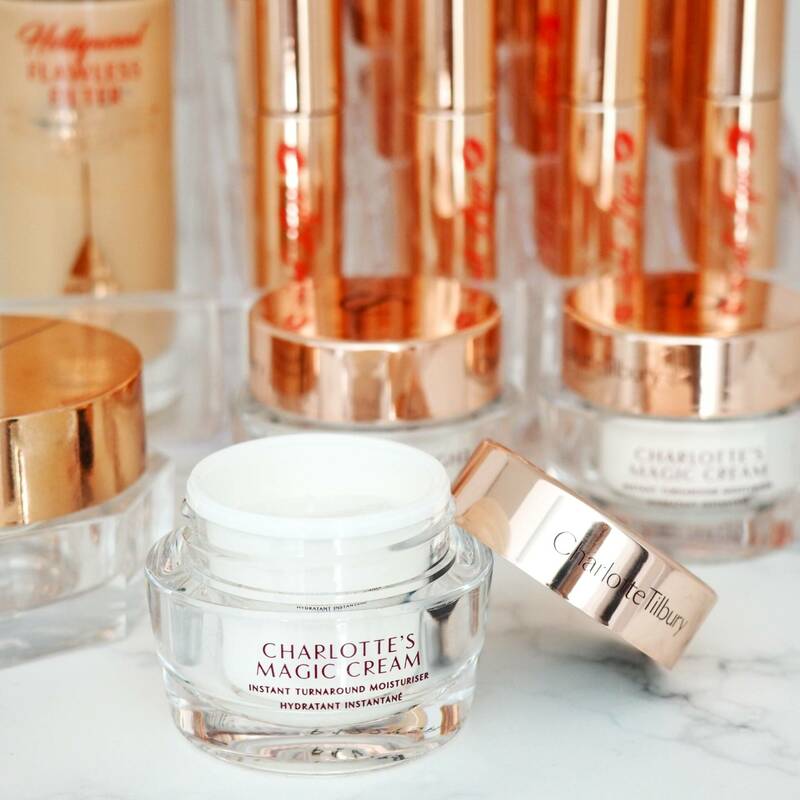 If there was any brand that would break my ‘makeup brand skincare line resistance’ it would be Charlotte Tilbury. 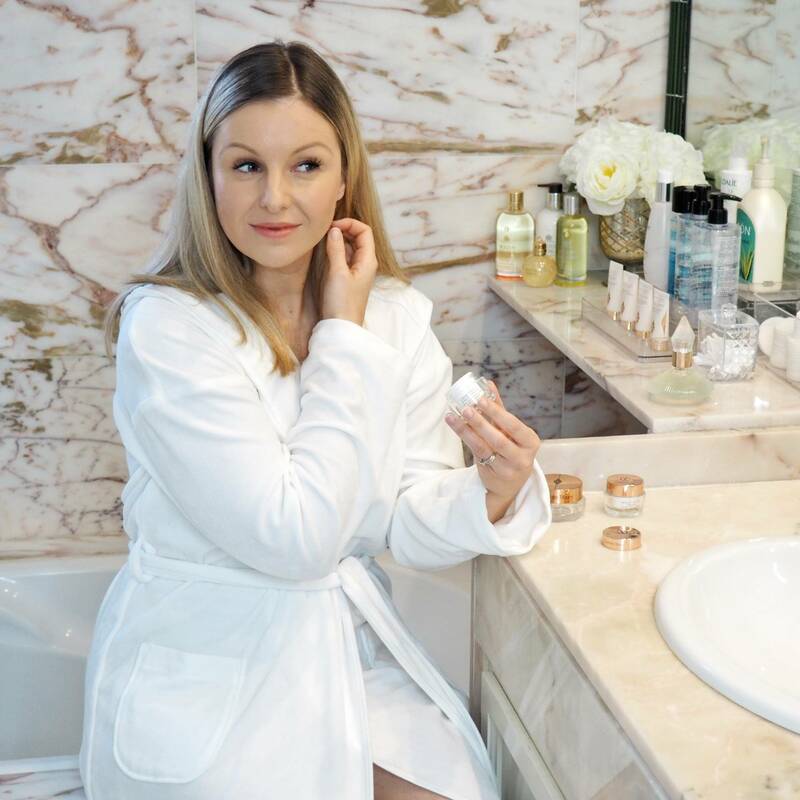 I know my skin responses well to her makeup products, I have never experienced any irritation or breakouts from any of her makeup items, so I was hoping for her skincare products to fair just as well, and thankfully I was not wrong, in fact I have been incredibly surprised. 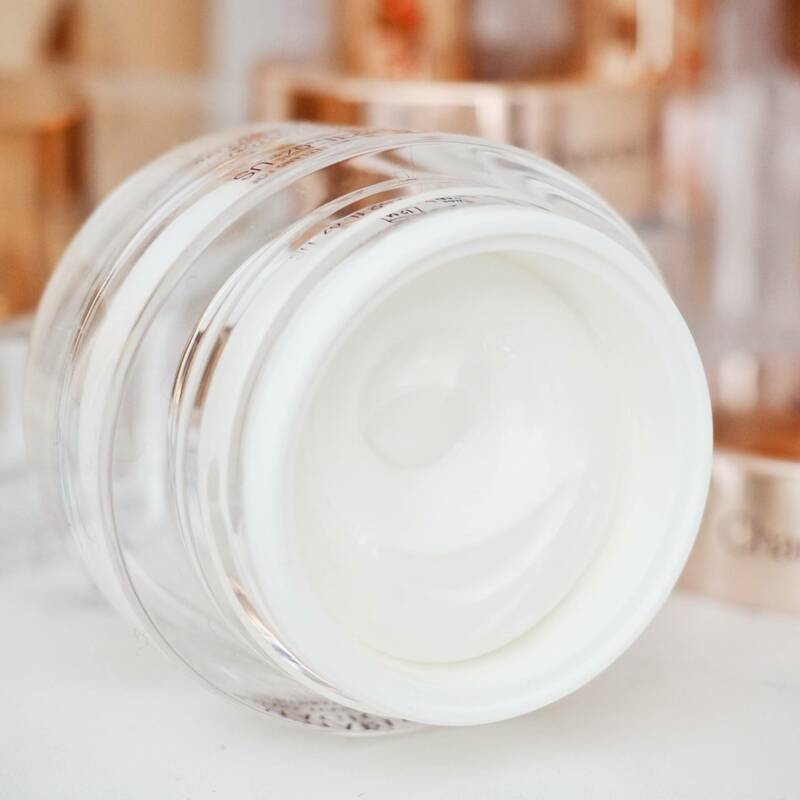 I do think the Charlotte Tilbury Magic Cream is quite a rich cream and for this reason I use it minimally rather that slathering tons of product all over my face, but I actually like that you don’t need a lot of product (which also helps the product last longer). I find that even though it may initially look on the rich side, once on the skin its not, it’s not heavy and doesn’t feel like you have just caked your face in product. Its non-greasy and absorbs quickly into the skin, its not one of those products you have to sit around waiting ages for to let the cream soak in. It also feels very nourishing, hydrating and soft. I feel like its a gentle product that is smooth and I love that it produces a beautiful luminosity to the skin. I prefer to take a small finger scoop of product and then really work the product gently into the skin. I normally start with my cheeks, then forehead, down my t-zone and then massage the product up in my cheekbones, along my jawline before bringing it down my neck. I then very gently patter my fingertips across my face to help stimulate blood circulation. Like I mentioned before I find a little goes a long way so you definitely don’t need to slap a load of product all over the face, I find a thin layer works best. 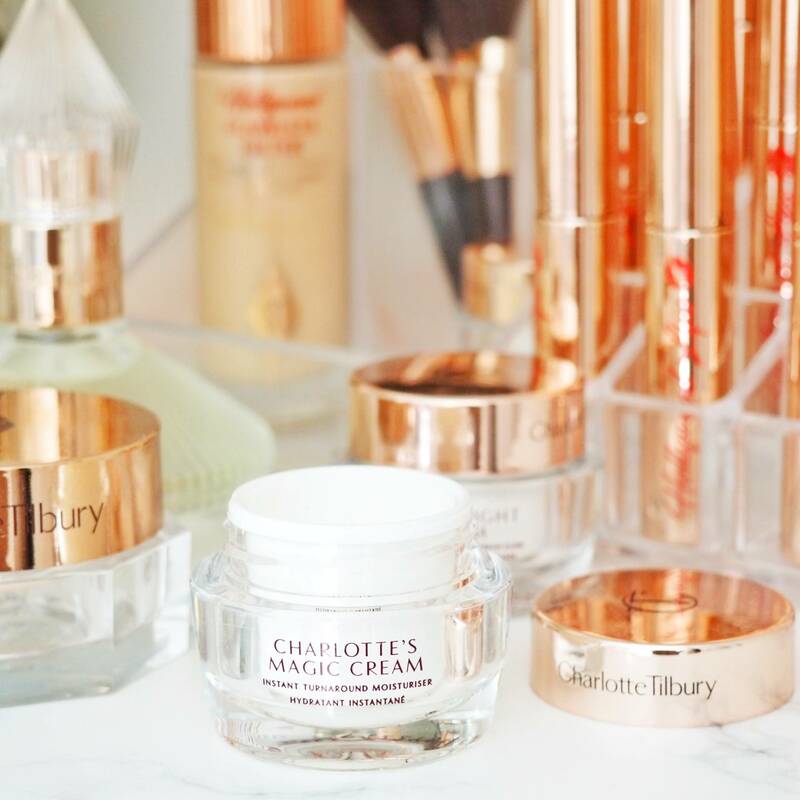 I like to use this Charlotte Tilbury Magic Cream in a morning before makeup. 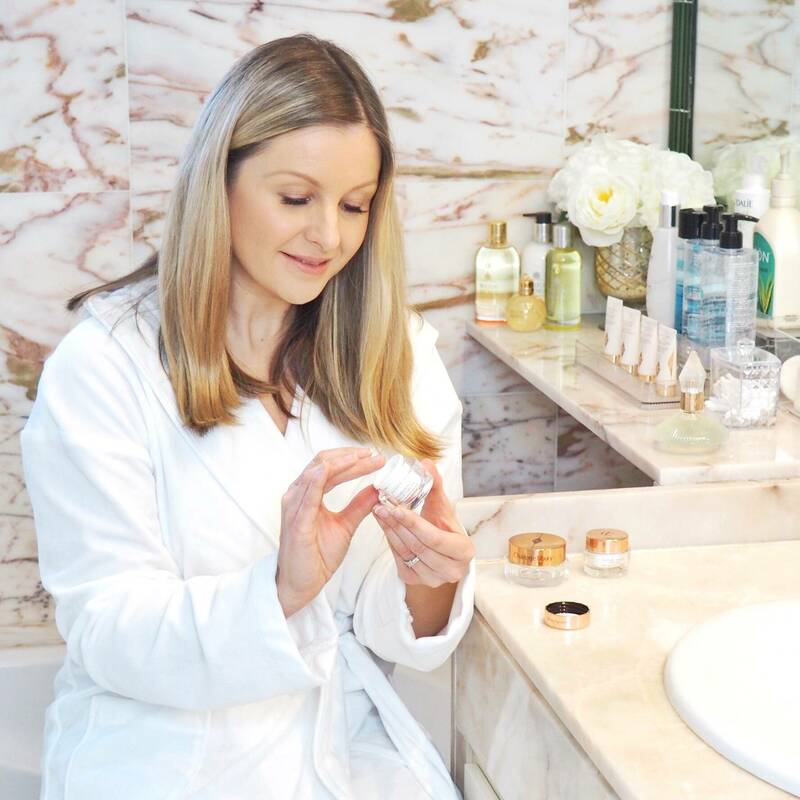 I find it’s such a beautiful base for makeup as it seems to hydrate and plump the skin whilst bringing through a healthy natural glow. My go-to ‘It Cosmetics CC+Cream‘ works so well over it too and the combination looks like I have actually had hours of sleep even when I haven’t. 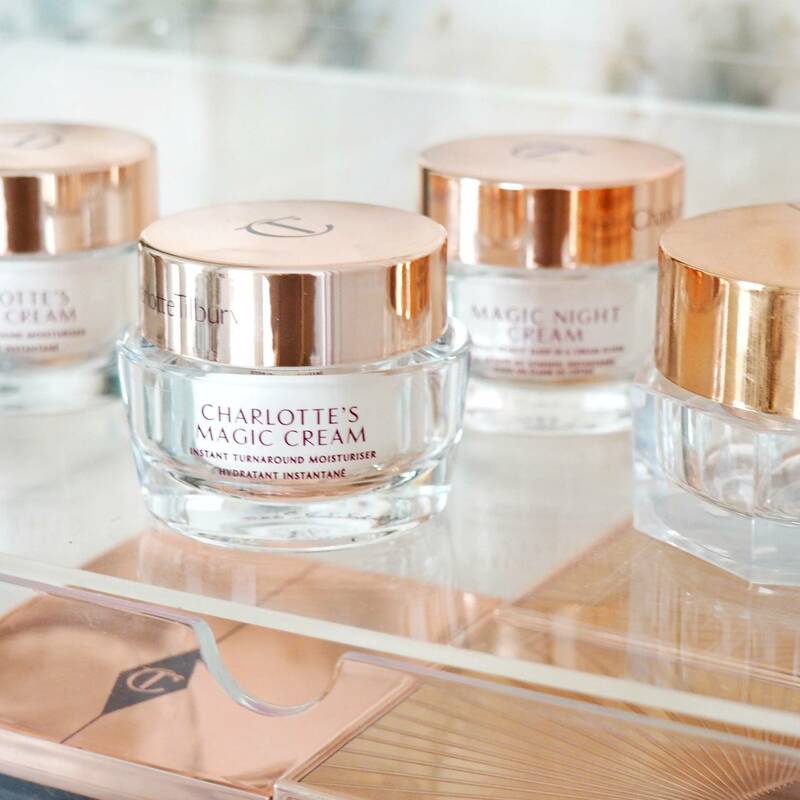 I also apply this Charlotte Tilbury Magic Cream every other night and on the alternate nights I reach for the Charlotte Tilbury Night Cream – this combination has started to transform my skin already and has become a bit of a dream duo to be honest. Honestly I do get all the hype for this product and all the great reviews because I am so so impressed. Even though I have only been using this product for just over a month I can already see a difference in my skin and this is probably the worst time of year for my skin. Combined with the Charlotte Tilbury Eye Cream and Charlotte Tilbury Night Cream (which I alternate with the Magic Cream at night), my skin has lost its dullness and instead looks refreshed, plumped and just healthier. I haven’t suffered with any irritation or breakouts (which is so so rare), infact I have seen an improvement in my skin, especially its texture, which is pretty incredible for me. I don’t know if its just a coincidence but my skin is looking so much clearer, any redness is starting to subside and it combats my dryness like a dream. Priced at £70 for 50ml its not cheap, you can get a 30ml for £49, a giant size 150ml for £180.00 and a travel size 15ml for £27.00. However I honestly think its worth it and personally I would always spend more on skincare over makeup, as I find that I need less makeup when my skin is looking better too. Used sparingly I do think this isn’t a product you will go through quickly either, so a pot will last quite a decent length of time. 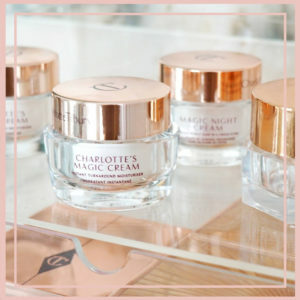 If you are trying to decide which Charlotte Tilbury skincare product to purchase first between the Magic Cream, Magic Night Cream or the Eye Cream…then I would go with this Magic Cream first because of its versatility and ease of application. If you can get your hands on a sample of this I would highly highly recommend it. I am so happy that I finally decided to try it, and I’m looking forwards to reporting back how I find this cream through the Seasons with my skin. So far though I do think this cream is a little pot of magic. 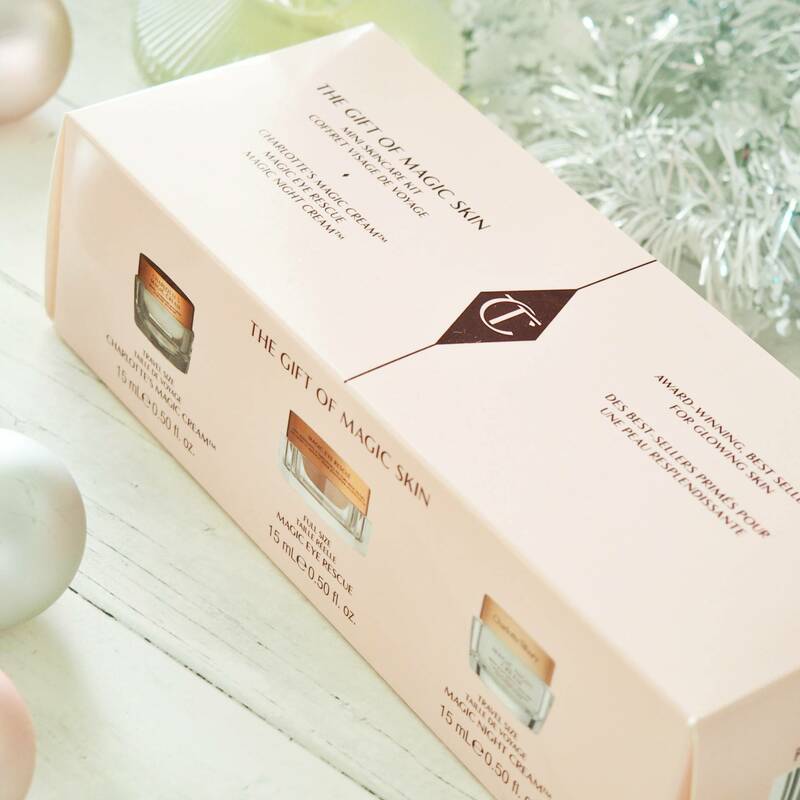 For a Limited time a great way to try all three Charlotte Tilbury Skincare products that I mention in this blog post is with the ‘The Gift of Magic Skin’ Set. 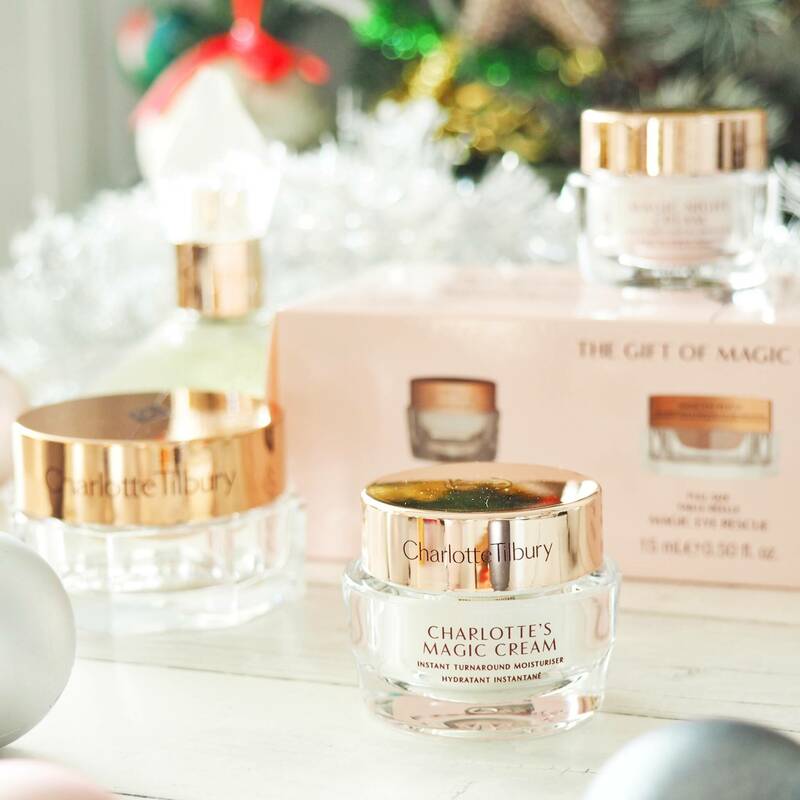 Currently priced at £55.00 – the set includes a 15ml Magic Cream, 15ml Magic Night Cream and 15ml Eye Rescue Cream.